Right now, on this Friday night, I am doing what any other college girl with no plans and an absent roommate would be doing. I am singing my heart out to the Frozen soundtrack, of course!!! As I enjoy the vast riches of the Deluxe Edition of the soundtrack on Spotify, I think back and ponder the finer points of this film. What REALLY makes Frozen so fantastic? In my pondering, I’ll discuss a few points that I find personally moving. Can we just say a big “duh” here? Yes, yes, I know. The music is so good that the songs are stuck in all of our heads from dawn till dusk. It’s so good that beginning today, movie theaters nationwide are re-releasing the film in sing-along form. We all know that any time somebody says the words “Let it go,” we are melodically transplanted into Arendelle. We get it. 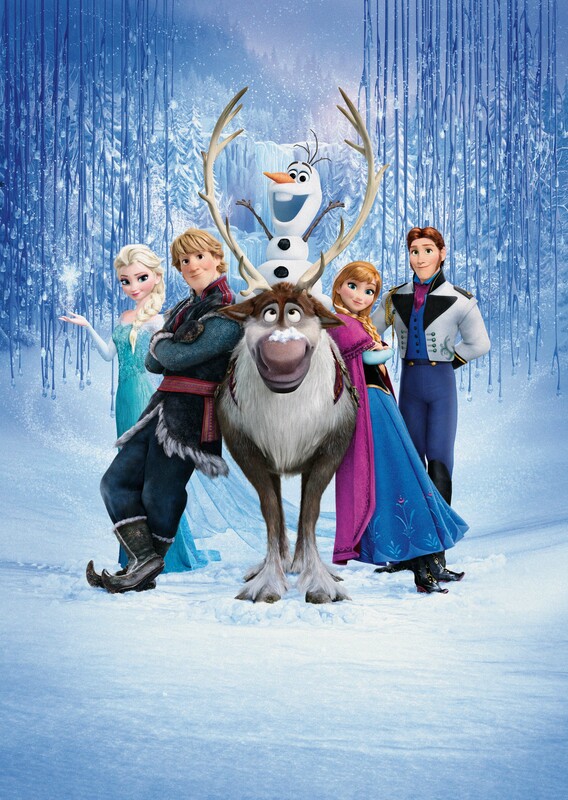 Disney once again made a masterpiece with Frozen’s score and songs. Why is this music SO transporting to us? The score is full of sounds recorded straight from traditional Nordic instruments. The introductory choral celebration is recorded by Cantus, an all-female Norwegian ensemble, and the piece itself is inspired by traditional Scandinavian folk music. A very traditional vocal technique from Sweden called “Kulning” is featured in many of the score numbers. In case you’re at all curious, check this out here . In short, these songs are AUTHENTIC. To a degree that this music strikes us American listeners as exotic, foreign, and very, very intriguing! Let’s not forget to mention the star. Idina Menzel has long been my favorite musical theatre actress since debuting the role of Maureen in Rent. I could write a book on how much I love her voice. I didn’t know much about the movie Frozen when I first went to the theater. I hadn’t researched who was in the cast, or even what the story was going to be. But when I heard those first notes out of Elsa’s mouth, I nearly cried. Disney picked IDINA!!! Praise the Lord. This is all I can say. Idina makes the movie. Her vocal ability shines clearly from the soundtrack like a beacon of hope for all future Disney endeavors. Kristen Bell… Mandy Moore… ok. But in Idina Disney found a true and experienced vocalist. The voice truly makes all the difference. Disney outdid themselves with this one. Scandinavian fjords are some of the most beautiful locations on this planet, incorporating beautiful waters, mountains, and skies. Personally on my bucket list is a tour of some of these beautiful places. Even seeing the location in animated form nearly gave me chills. In case you’re curious again about the authenticity of Disney’s portrayal, check this out. Also notable is the beauty of the characters themselves! Elsa and Anna are both of course very beautifully animated, with incredibly detailed eyes, faces, hair, and costumes. Pause on the hair aspect for a moment. Go to youtube and feast your eyes on the vast infinity that is “Frozen hair tutorials.” I include myself in this obsession! Some of my inspired designs below. Disney gave us animated beauty that is so real, we long to see it in the real world. In case nobody noticed, being so far baffled visually and aurally by the gorgeous work of art that is Frozen, the film actually has a very profound moral. And no, I am NOT talking about Elsa’s (and Disney’s) conviction that “You cannot marry a man you just met.” Cue an eye roll toward all the victorious memes out there. The profound lesson that I paid close attention to, especially the second time around, was the contrast between Fear and Love. Yes, that is the final realization that saves the day. However, I find way more interesting the fact that Anna and Elsa throughout the film embody these two traits. They speak them into reality. They each live their conviction toward one or the other, and yet… neither of them quite understands consciously what force is ruling their everyday existence. This struck home for me, as I contemplated what might be the driving force behind my life (that I might not even notice). I won’t go into it here, but this was a great springboard for some super introspective journaling. What inspires YOU to act? To take risks? What drives you to run away, and what drives you to run toward your goals? Elsa and Anna helped me realize the importance of having a loving understanding of your whole self– including all your limitations, weaknesses, and triumphs. Only then can you begin to truly understand the reasoning behind your biggest decisions… and only then will you have the power to change them for the better. Spot on! I’ve been stuck on the “First time in Forever” reprise which I didn’t even realize shows the fear vs. love theme throughout the movie – thanks future teacher! Lol. Ahh but you’re right so good! Great read!